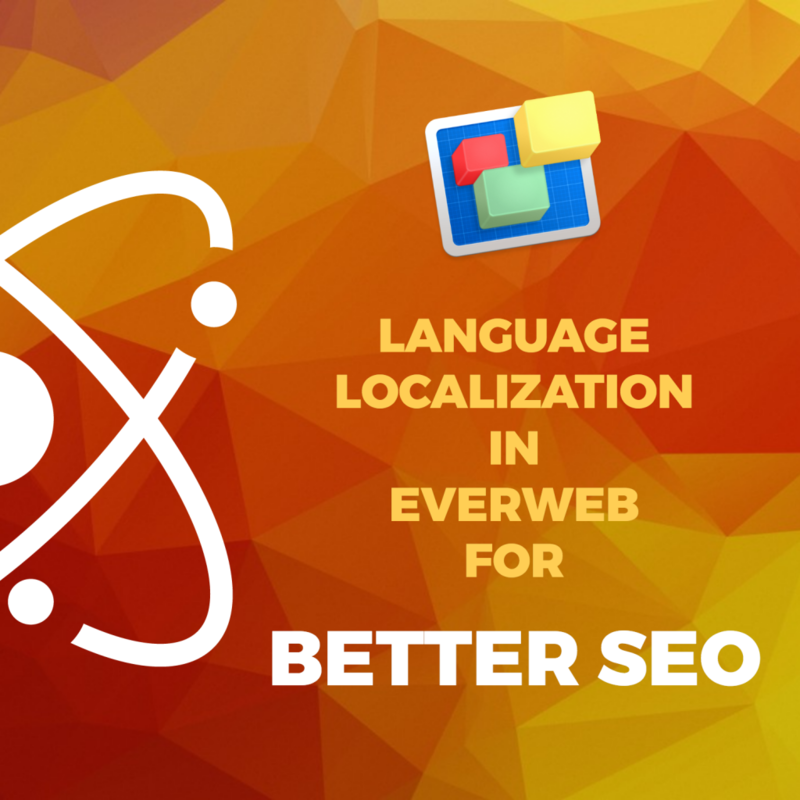 EverWeb 2.4’s new Language Localization feature improves your website’s SEO for better search engine ranking results by using language localization to better serve visitors searching the web with more relevant search results. Only specific pages localized. No global language localization set. To illustrate how these settings are applied we will use an example of a farming company based in the United Kingdom which has set up their own website in EverWeb. At present, the website is designed to serve only customers in the United Kingdom. As such, we can set the language in EverWeb at the global, website level only so that search engine results are focused more towards serving potential UK customers only. First go to the Site Publishing Settings in the Project file, using the File-> Edit Publishing Settings menu or by clicking on the name of the website in the Web Page List. In the Head/Footer section is an option for ‘Language’. Click on the drop down where you will see a whole host of languages. In this example, scroll down to ‘English’, or just press ‘E’ on your keyboard to take you to the start of the section of languages beginning with ‘E’. As there are many countries where English is spoken it is important for SEO to select the setting that best suits your situation. In this example, as my website serves only customers in the United Kingdom, ‘English (United Kingdom)’ is the most suitable option. If my website was designed to serve only customers in the US, I would select ‘English (United States)’. To apply the Language localization setting, publish the website. It is recommended to publish the whole website using the File -> Publish Entire Site menu option. If your website is not tied to a particular geographic location, e.g. you have a global website shopping website, you can still specify a language localization at the global level e.g. if my farming company only sells products via the Internet, I could set the Language setting in Site Publishing Settings to just ‘English’ without any country specified. First select one of the pages used for the Dutch market and make sure that the Page tab is selected in the Inspector Window. Next go to the ‘Language’ drop down in the Page Details section. This setting will now override the global Language setting of English (United Kingdom) that we set up earlier so that search engine results will better target the Dutch market. Publish the website to apply the changes. For my customers in New Zealand, the written language is still English, but if I make pages specifically for my New Zealand customers, I can ‘language localize’ these pages by selecting ‘English (New Zealand)’ on a page by page basis in the same way I have sone for my Dutch customers. EverWeb’s Language Localization feature can be set just on a page by page basis without a ‘global’ language localization being specified in Site Publishing Settings. There may be specific instances where you may want to use this option. Generally, though, you will usually use the one of the first two options described above. If you would like to see EverWeb’s Language Localization feature in action, check out our Language Localization for Better SEO video on our YouTube channel. As always we would love to hear from you if you have any comments, suggestions or feedback. Please let us know in the Comments section below! This entry was posted on Thursday, August 3rd, 2017 at 8:12 pm	and is filed under EverWeb, EverWeb, SEO Tutorials, Software, web site optimization. You can follow any responses to this entry through the RSS 2.0 feed. You can leave a response, or trackback from your own site.